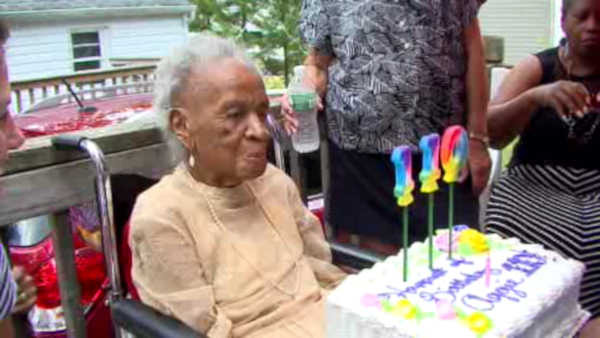 ENGLEWOOD, N.J. -- A woman from New Jersey welcomed her 110th birthday with what she says is one of the keys to her longevity - a beer. Agnes Fenton turned 110 on Saturday. She celebrated at her home in Englewood, surrounded by some of the more 40 children she helped raise during her years as a nanny. When she was asked for the secret to a long life, she kept it simple. "Ain't no secret, just keep in touch with God and do the right thing, that's all I know," says Fenton. In an interview for her 105th birthday, Fenton told ABC News she had enjoyed a beer and whiskey every day for decades.